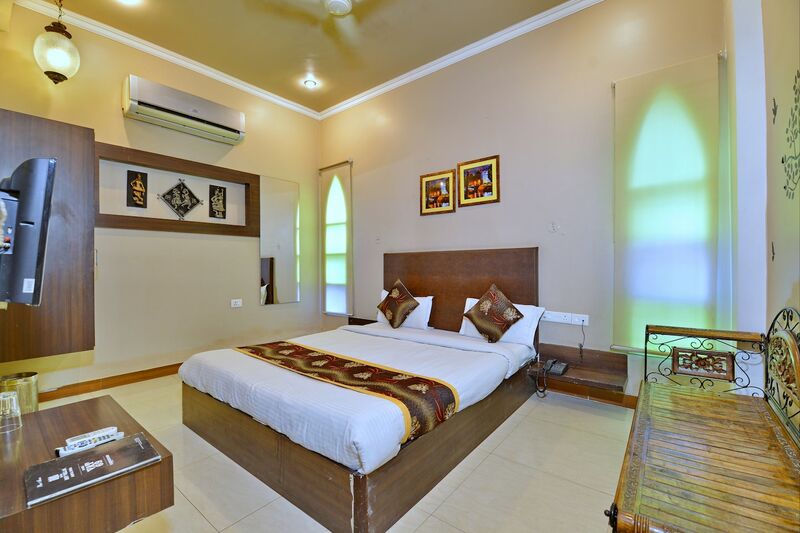 Hotel Dev Villas is one comfortable and beautifully designed hotel in the pink city. The rooms are tastefully decorated to make your stay warm and cozy. The rooms have beautiful paintings reflecting the culture of Rajasthan. All rooms spacious, super clean, and have ample natural light. Along with basic amenities, the rooms also have geyser and seating area. Guests can enjoy free wifi services during their stay to catch up with work or connect with friends and family. Besides, there is in-house restaurant, banquet hall, bar and dining area at the property to hang out. The hotel offers parking facility and laundry services. Card payments are accepted here.